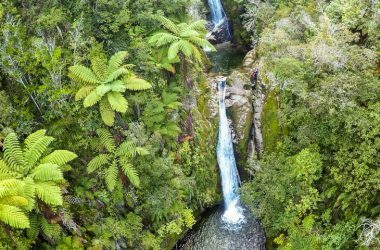 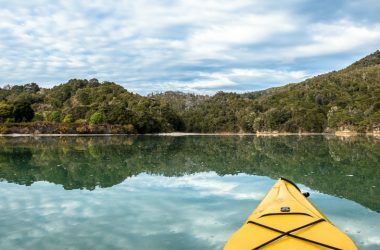 Start off your day with New Zealand's most scenic skydive, then enjoy half a day of kayaking with your guide through the sheltered and scenic southern end of the Park. 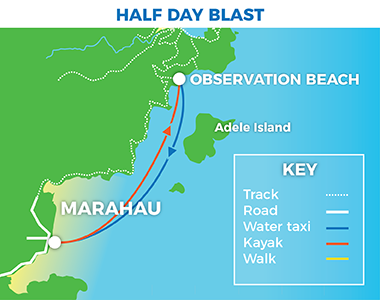 Cruise info: Observation Beach to Marahau: 30 min. 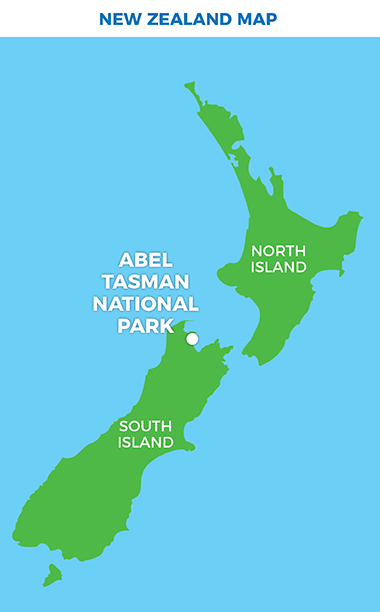 Spend the morning viewing the Abel Tasman from 13,000ft, on an epic tandem skydive! 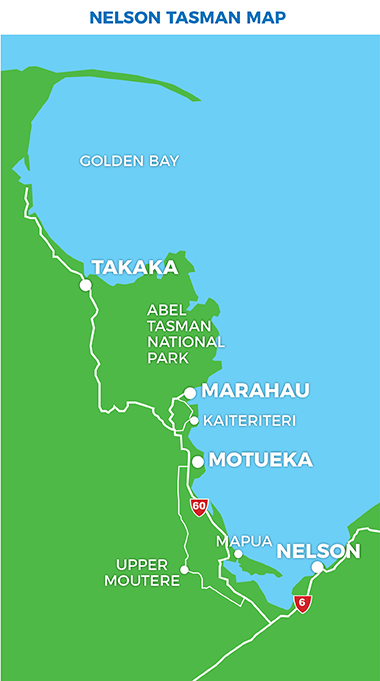 Quite simply New Zealand’s most scenic skydive during which you can see both the North and South Islands, three National Parks, Mount Taranaki, the Southern Alps and the Marlborough Sounds! 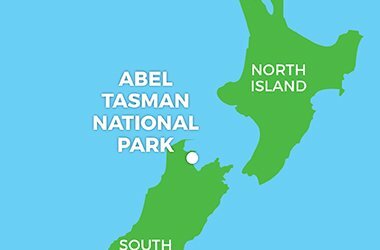 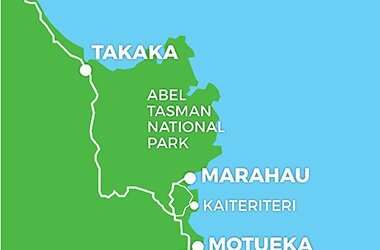 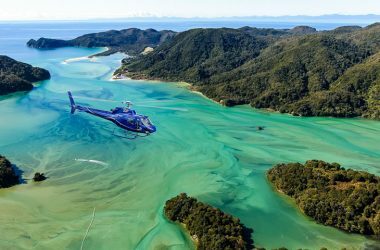 Take a quick breath and then see the Abel Tasman from a whole new perspective as you travel by water taxi from Marahau to Observation Beach to meet your kayak guide. 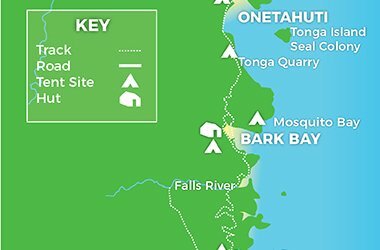 Spend the afternoon paddling in your sea kayak along the extraordinary granite coastline exploring caves, islands and secluded beaches along the scenic Astrolabe Roadstead in the southern end of the Park.